Altin Gün (Golden day) present an exciting mix of Turkish pop with anglo-american psychedelica, funk and rock. Fascinated by Turkish 70’s artists like Erkin Koray, Barış Manço and Selda bandleader Jasper Verhulst created his own Istanbeats. 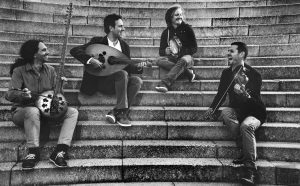 Altın Gün play songs from their heroes and perform new arrangements of old Turkish traditionals. However their foremost inspiration is Neşet Ertaş, a Turkish folk favourite whose musical legacy is invaluable to them. Altin Gün retain the lyrical and thematic structure of Ertaş’s songs, though they often alter their time signatures while adding fuzzy bass, sweltering organ and raw saz riffs. After releasing several singles and EP’s, On became their album debut. The Colourful world of Arp Frique is the debut album of keyboard player/ producer Niels Nieuborg from Rotterdam. The cosmopolitan mix of this harbour city is reflected in Arp Frique’s pulsating fuse of disco vibes with Dutch Caribbean and Cape Verdean grooves. Their alter ego both refers to the sound of the Arp-synths and Chic’s Le freak. At the same time the band gives a wink to Sly & The Family Stone because of its exciting performances which guarantee instant danceability with a touch of weirdness. To Nieuborg, family also means a wide range of guest musicians who contribute to the album or play- whenever it fitsat Arp Frique’s live gigs. Such as Cape Verdean legend Americo Brito, Dutch Surinam’s famous flutist Ronald Snijders, Brazil boy Ed Motta or afrobeat pioneer Orlando Julius. Indeed, a colourful world into one groove. Odyssey alike Lingua Franca navigates the Mediterranean Sea, however theirs concerns a musical wandering. 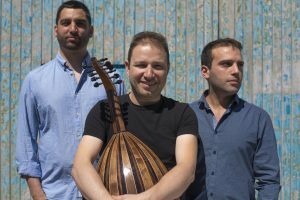 They cover the rich eastern Mediterranean traditions and fuse these with Western musical influences into stunningly soundscapes. The account of their discoveries resulted in the highly acclaimed debut album Ephemera. Just as a photograph captures images, Lingua Franca uses music to frame emotions that are normally condemned to fleeting transience. From the flash of amusement in a carefree child, to moments of longing due to separation, to the stages one passes from grief to acceptance. Their repertoire speaks a lingua franca, a universal language that every listener connects and moreover… profoundly moves. Palestinian born Nizar Rohana is one of the world’s leading ud players. He is based in The Netherlands and distinguished for combining virtuosity with fresh contemporary compositions, while maintaining the ud’s authentic language. Raised in a musical family he picked up the ud at 13. Following extensive studies Rohana immersed himself in developing contemporary ud compositions, taking inspiration from Bach and Brahms all the way to Tanburi Cemil Bey and Muhammad Al-Qasabji. Rohana’s wide stage experience encompasses traditional, experimental and world music. In 2013 he formed his own trio with Hungarian double bass player Matyas Szandai (who a.o. accompanied Archie Shepp and Chic) and French-Lebanese percussion virtuoso Wassim Halal. Their debut album Furāt reflects the highest quality of flow, captured through the image of the Euphrates River. Spiritual silence has a name, called: Nizar Rohana Trio. Shishani is a talented singer-songwriter with Namibian and Belgian roots who mainly grew up in the Netherlands. Influenced by Afro-American and African music her vocal style developed into a unique sound nourished by a strong social consciousness. With percussionist/ producer Sjahin During, cellist Bence Huszar and kora-player Debby Korfmacher she founded Namibian Tales, an acoustic quartet diving into the musical traditions of Namibia. 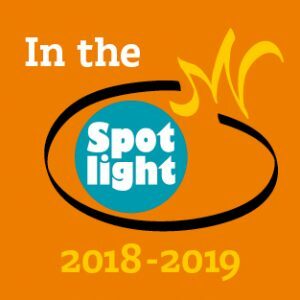 In 2017 they travelled the Kalahari Desert to collaborate with women from the San (Bushmen) community. Together they recorded the album Kalahari Encounters, lyrics both sung in English and Oshiwambo, Shishani’s native tongue. Their 2018 European tour with four San female singers turned into a huge succes with sold-out venues. In urban street slang swagga means “One’s own unique style or personality that sets them apart from anyone else”. 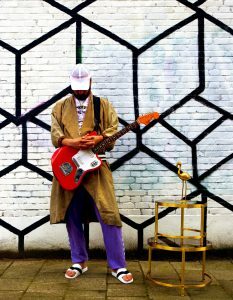 Turned into sound you get Son Swagga, a psychedelic fusion ensemble based in Amsterdam. Composer/ bandleader Felix Back teamed up with members from groups such as Jungle By Night and Gallowstreet. With transcedential grooves and eclectic improvisations they bring a new breed of instrumental music to the world. Expect a mix of Sun Ra, Fela Kuti and Weather Report meeting videogame-music. 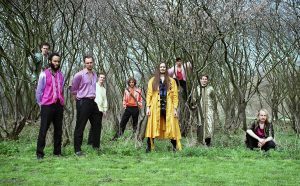 Longing for “A sound that has never been heard before” Son Swagga seeks new uncharted territories pushing the boundaries of their musicianship. 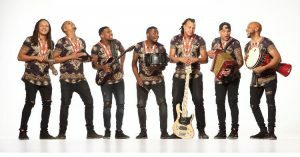 Tabanka is a young Cape Verdean group from Rotterdam, whose music has been inspired by older Cape Verdean artists such as Américo Brito and Bitori. The seven-piece band has a fresh take on funaná. This upbeat festive music and dance style, once forbidden by the Portuguese colonial rulers, became part of post-independence Cape Verdean identity in the 80’s. 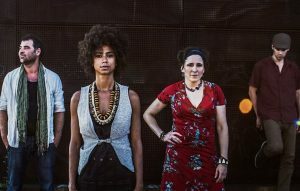 Funaná derived from descendants of slaves, mixed with contemporary pop and jazz. The base of funaná are the diatonic accordion (gaita) and the rasping sound of the ferrinho, a notched metal bar played as a Caribbean guiro. Tabanka is famous for its exuberant live shows on which it is impossible not to dance.